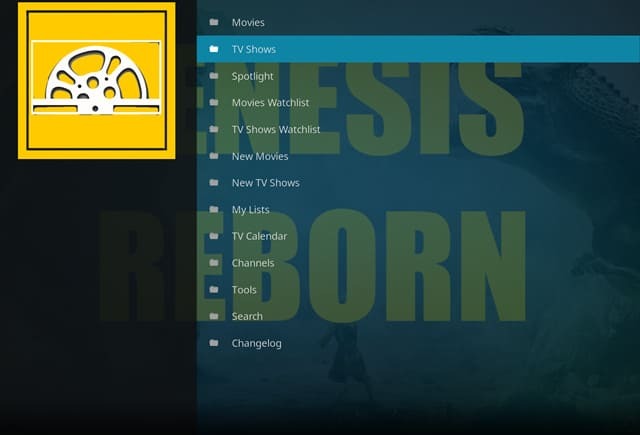 If you have the Genesis Reborn Kodi addon in mind, then look no further. This guide explores the addon as well as some of its alternatives. Kodi is a free media player application which allows you to set up your very own home theater system. It is feature packed, allowing for many possibilities which includes handling local media as well as online media via a multitude of available addons. What really sets Kodi apart from many of its competitors is that it is a cross platform application. Kodi is available on iOS devices, Android devices such as TV Boxes/Sticks and phones, Raspberry Pis, Amazon Firesticks/TVs and can even be streamed to a TV via Roku. This just scratches the surface of supported devices. The latest stable version of Kodi is Kodi v17.4 “Krypton”. You should always take precautions when doing anything online, including streaming content via Kodi. One way to protect yourself is to make use of a Virtual Private Network (VPN). A good VPN will help mitigate certain risks associated with Kodi, including Man-in-the-Middle (MitM) attacks and ISP speed throttling. Man-in-the-Middle attacks can occur with any addon. Hackers can place malicious code in any Kodi addon and use it to spy on your activity and steal your data. Third-party addons like Genesis Reborn often go through less rigorous vetting, making them more vulnerable to such issues. A VPN can hide your identity and prevent loss of data. Meanwhile, VPNs also allow you to hide your online activity from the sometimes prying eyes of your Internet Service Provider (ISP). In the absence of a VPN, ISPs can easily keep track of what you do online, far from ideal from a privacy standpoint. ISPs are also increasingly sending warning letters to persons streaming content via unofficial sources. VPNs mask your identity online, and prevent ISPs from snooping on your online activities. You will need a fast, stable VPN when streaming with Kodi due to the high bandwidth demands of online streaming. Our recommended VPN is IPVanish, which is quite well known in the Kodi community. IPVanish uses their own, high-quality servers for minimal speed loss. This isn’t the only good VPN out there, however. Feel free to peruse our full list of recommended VPN services, in case IPVanish doesn’t fit your needs. What is it? 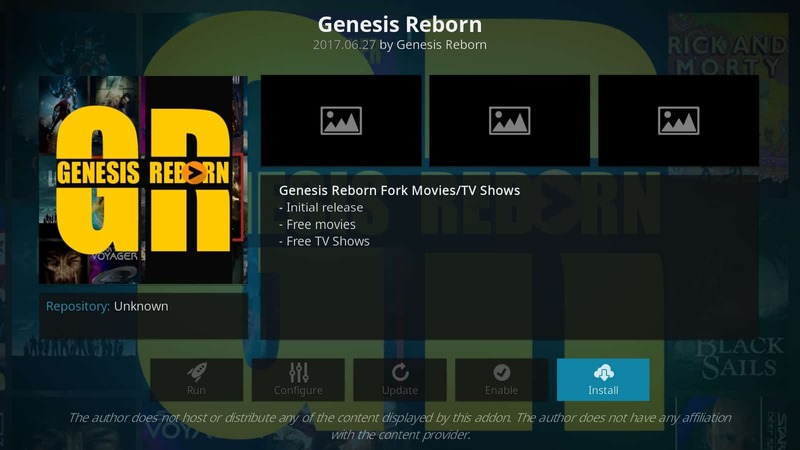 Genesis Reborn is a fork of the once popular Genesis Kodi addon. Genesis Reborn provides access to an extensive catalogue of content. The catalogue is well organized, allowing you to easily find what you are looking for. There is also a convenient search function, in case you are looking for something specific, or can’t find what you are looking for within the categories. You will be able to quickly locate movies and tv shows, and newer content is highlighted for your convenience. The Movies and TV Shows are even further categorized, organizing content according to labels such as Genres and Years. Why you should avoid it. The majority of content is sourced via unofficial sources which do not have the necessary licences to playback such content. This raises legal questions and for this reason we cannot recommend the Genesis Reborn Plugin. The Crackle Kodi addon is a portal to the Crackle video on demand (VOD) service which is completely free. You can find TV shows such as Walker Texas Ranger and Seinfeld on Crackle. As for movies, there are titles such as Hitch and Inside Man. Crackle also has their own original content available for viewing. With Crackle, you should note that you won’t necessary have access to the latest shows and movies. There is also no HD content. With that being said, it is a reliable service and the media that is available is enjoyable. Crackler is located in the Eracknaphobia addon repository. 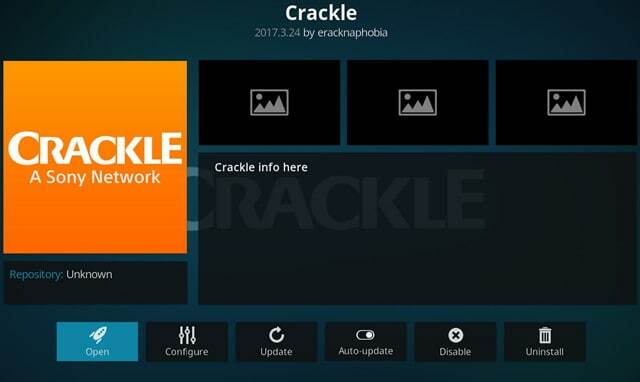 Crackle provides legal access to the media it displays, and it is completely free. For this reason, we can comfortably recommend Crackle for your viewing pleasure. Viewster has an extensive library of content with genres available such as Action, Animation, Comedy, Documentary, Sci Fi, Martial Arts, Adventure and Western. Viewster comes with a search function but what makes it unique is that it separates the search function for movies form the one for TV shows. This prevents confusion with similar titles, or with TV shows and movies sharing the same names. Viewster doesn’t have any HD content but as with the Crackle addon, it is quality stuff. 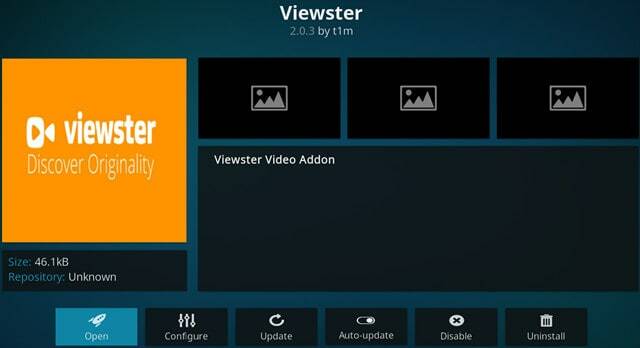 Viewster is located in the official Kodi addon repository. Viewster provides access to content legally and for this reason it is one of our recommended alternative addons for Genesis Reborn. The FilmOn TV Kodi addon provides access to the Film On TV streaming service. You will have access to a large library of video on-demand as well as live TV. There are news channels such as BBC world, live music channels and channels playing back movies and TV shows. While there is HD content available for free, a subscription will give you access to more of it and will give you access to more content in general. Filmon TV is located in the SuperRepo repository. Since FilmOn TV streams content legally, it is one of our recommended alternative addons to Genesis Reborn. If you want to explore more options, take a look at our list of the best Kodi movie addons of the year. Genesis Reborn provides access to a wide variety of content. However, you should consider the law, victims, and risks of piracy before downloading or streaming copyrighted material without permission via the Genesis Reborn addon. Take everything we highlighted above into consideration and then make an informed decision.